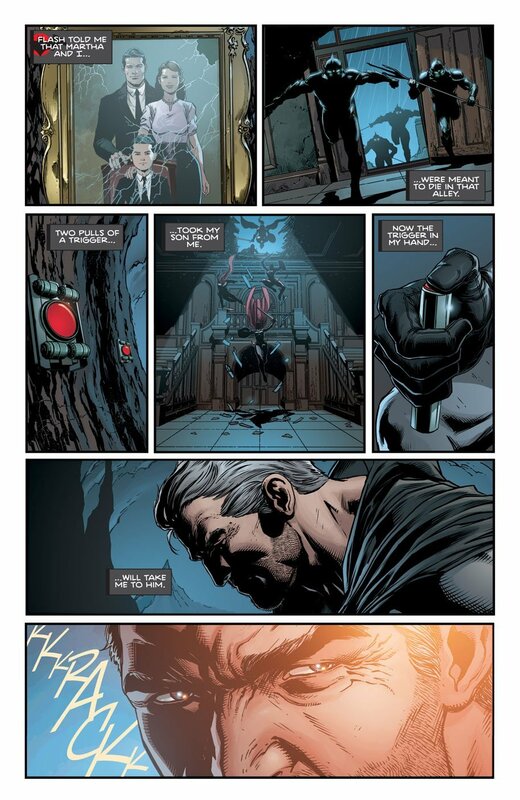 Truth be told, DC’s currently in-progress crossover, “The Button,” not only gets crazier with each successive installment, but it arguably gets even better as it delivers memorable moments normally reserved for big event books like, say, something with “Crisis” in the title. But, as Batman #22 has proven, you never know when the next modern classic will spring up. Just yesterday, we ran a preview for this very issue that dropped the bombshell that the world of Flashpoint does, in fact, still exist. 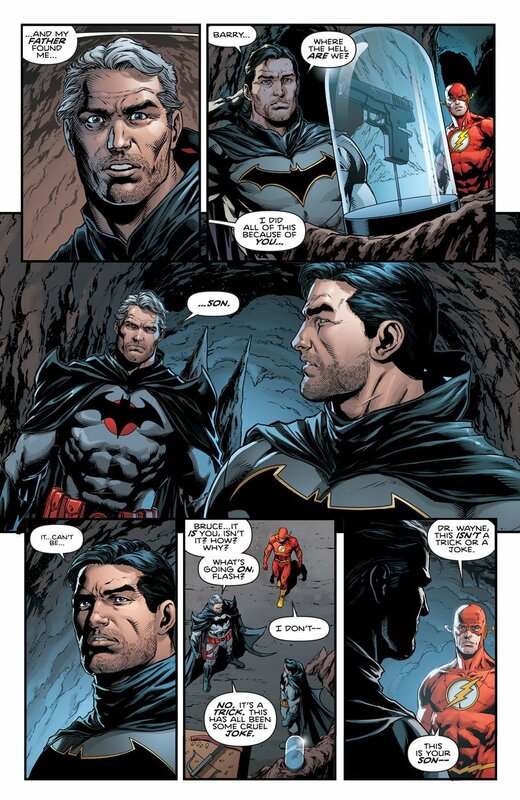 Furthermore, it showed a Batman in Thomas Wayne who thought the Flash had let him down and failed to restore the timeline that was home to his son, Bruce. As fate would have it, some unseen force is seemingly keeping various alternate realities intact for undisclosed purposes. 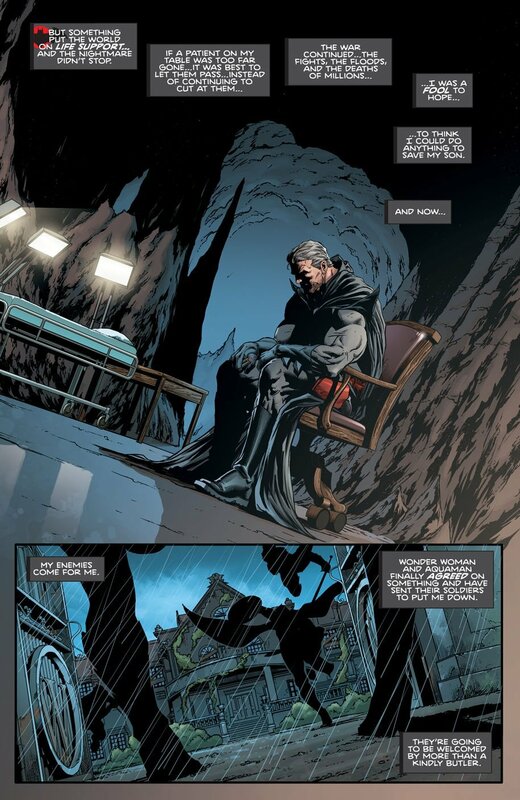 What followed was some of the most emotionally evocative storytelling one could ever read in a Batman comic, finally giving Bruce and Thomas Wayne the chance to speak to each other in the flesh. 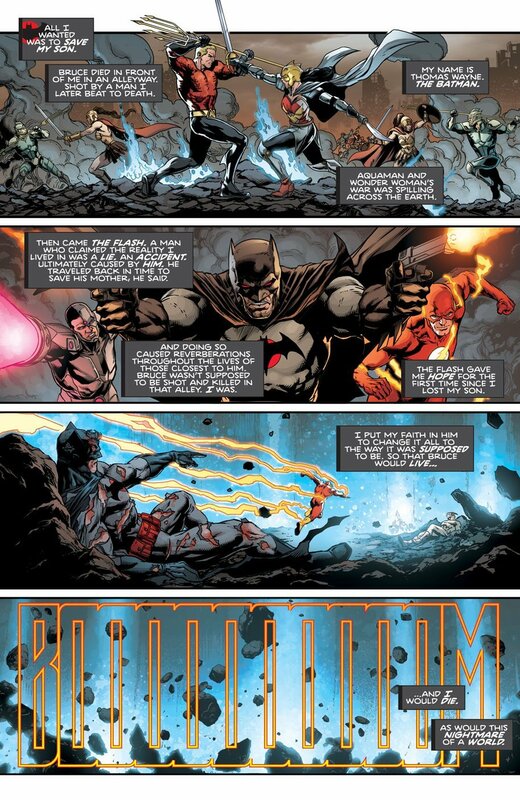 Not only that, but we were treated to a team-up never thought possible when they had to fend off a horde of Amazons and Atlanteans while the Scarlet Speedster reassembled the Cosmic Treadmill. 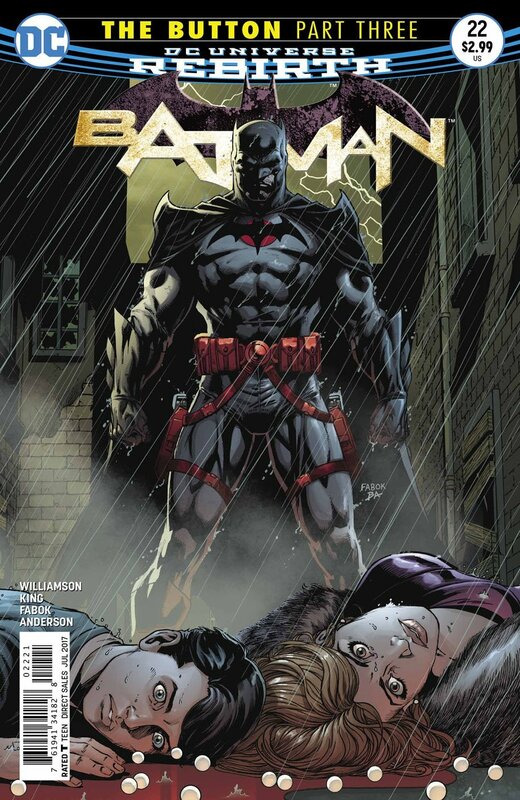 Sure, this would’ve been awesome regardless of whomever had been illustrating it, but the fact that the man who happens to draw the most badass rendition of Batman in the business today, Jason Fabok, got to draw two of them, well, that only further cemented this as being one for the ages. Proving that not all good things are meant to last, Thomas decides not to join the other two heroes on their journey back, electing to stay behind instead. And while it looked like it may have been curtains for the Knight of Vengeance as his world was being wiped away, one has to wonder what exactly happened after he charged into that white horizon. Remember, we’re talking comic books here, so never say never. 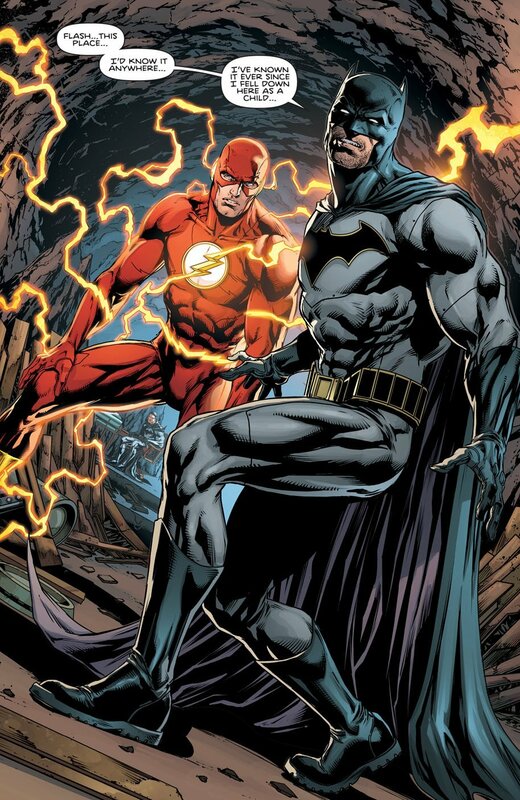 On that note, Bruce and Barry run into a not yet dead Reverse-Flash soon afterward who has yet to experience the ending of Batman #21. Your guess is as good as ours as to what lies ahead, but hopefully we’ll be seeing someone such as Doctor Manhattan when “The Button” concludes in two weeks. 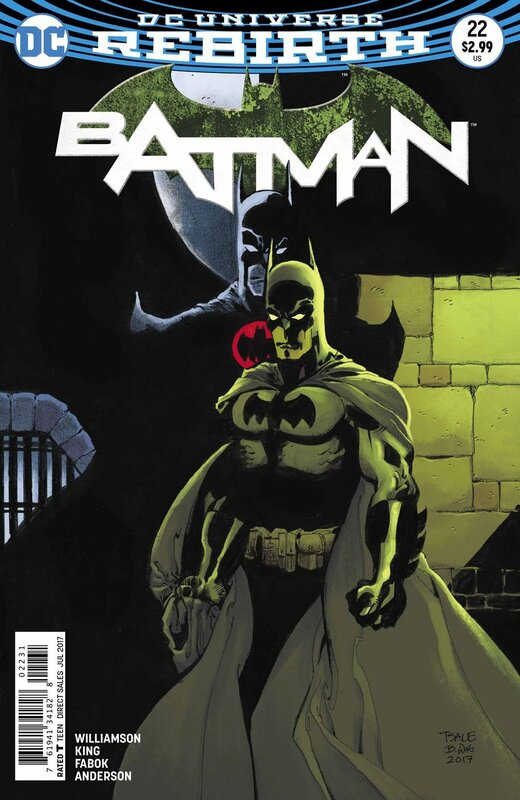 Batman #22 is now available in comic shops. For more, be sure to check out our review.